The National Household Food Acquisition and Purchase Survey (FoodAPS) is the first survey to collect unique and comprehensive data about food purchases and acquisitions for a nationally representative sample of U.S. households. This book compares shopping patterns of (1) Supplemental Nutrition Assistance Program (SNAP) households to low- and higher income nonparticipant households, (2) participants in the Special Supplemental Nutrition Assistance Program for Women, Infants, and Children (WIC) to nonparticipants, and (3) food-insecure to food-secure households. Ensuring that Americans have adequate access to food is an important policy goal. In the 2008 Farm Bill, the U.S. Congress directed the U.S. Department of Agriculture (USDA) Economic Research Service (ERS) to learn more about food access limitations. The book examines SNAP households’ geographic access. Furthermore, efforts to encourage Americans to improve their diets and to eat more nutritious foods presume that a wide variety of these foods are accessible to everyone. But for some Americans and in some communities, access to healthy foods may be limited. 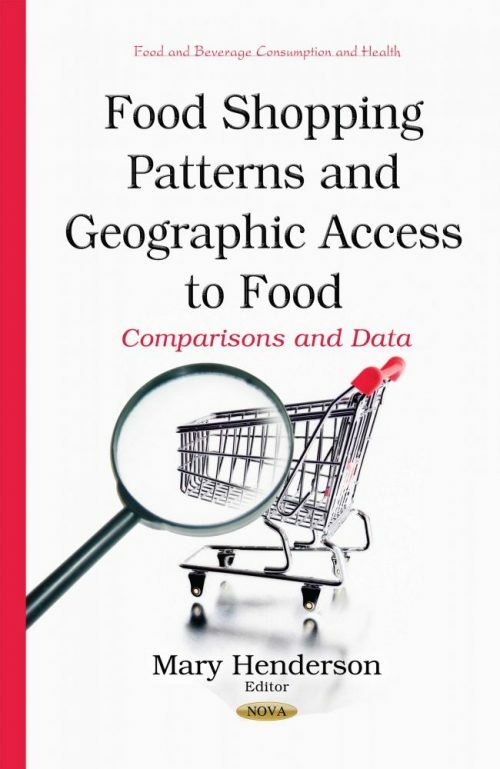 The book concludes with updates on population estimates of indicators of spatial access to healthy and affordable foods in the United States using population data from the 2010 Census, income and vehicle availability data from the 2006-2010 American Community Survey, and a 2010 directory of supermarkets.